What many people don’t realise is that tires are actually highly recyclable materials. That’s because they contain many rich resources and therefore offer great flexibility when it comes to recycling uses: for example, they can be broken down into their constituent elements of wire, fabric and rubber or even used in civil engineering projects such as road building, embankment construction etc. Because of this, many countries, including the UK, Germany, Spain and France, already recognise the value of truck tires, for example, as recyclable commodities and have well-established schemes designed to facilitate the recycling of them. In addition, many developing countries are in the process of developing such schemes too as they begin to realise the value that lies in old waste tires. 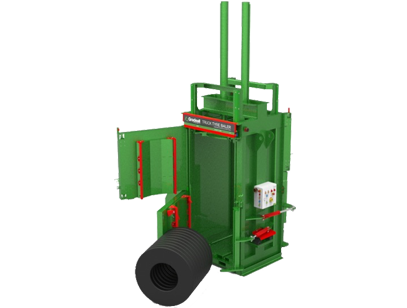 As a result of the tire baling or tire cutting options which are available across the Gradeall range, waste tires will no longer be able to hold rain water. And because rain water that sits in waste tires becomes a breeding ground for mosquitos, this is a major contributory factor in the spread of disease. Probably the biggest factor for any organisation in deciding against tire recycling has typically been cost. Tires, in all their forms, are heavy and bulky, and therefore they were always very costly to move. But what if tires could be baled, reduced in size and bulk and transported at much lower cost? 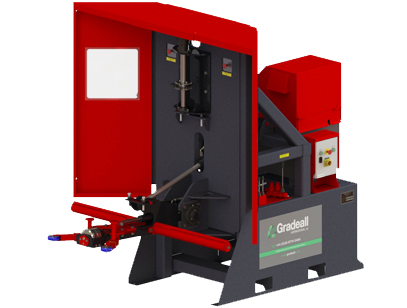 Recognising the huge problem that truck & bus tires in particular (owing to their size and weight), represent environmentally and in the area of a health on a global scale, we set about creating a solution to this problem: and this came in the form of the Gradeall truck tire baler. 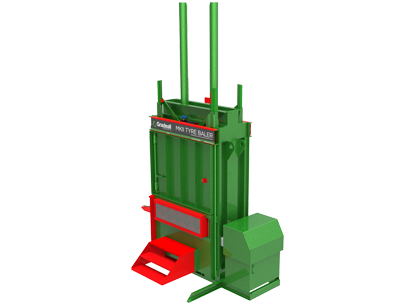 Operated by two people, this baler is one of the most cost effective tire balers available anywhere on the market, in terms of both capital as well as operational cost. Using this machine, tires can be easily baled into a volume of between 15-20% of the original load, reducing truck journeys by up to 70%, greatly reducing transport and fuel costs in the process. But we don’t just have solutions for truck tires. 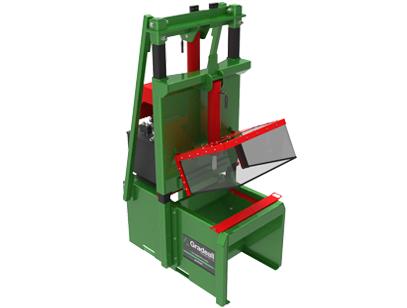 In fact, with a range of different types of tire recycling machines such as the tire rim separator, sidewall and tread cutter now available to deal with waste tires of all shapes and sizes, reducing the volume of waste tires has never been easier!